Allora Shire, north-east of Warwick and some 125 km west of central Brisbane, began as a borough in 1870. In 1915 the Allora borough expanded to become a shire by absorbing part of neighbouring Clifton Shire. The Shire's most populated part was in its west, along the southern railway through Allora to Warwick. The easterly parts were hilly, rising increasingly to the dividing range and Cunningham's Gap. The Allora township held 40-48% of the Shire's population during most of its existence. 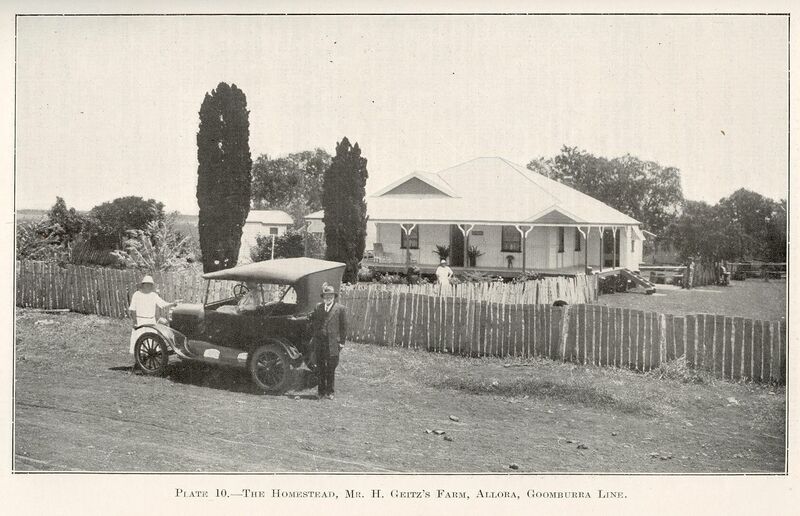 The other significant population centre was Goomburra, named after the Goomburra pastoral run (1840).